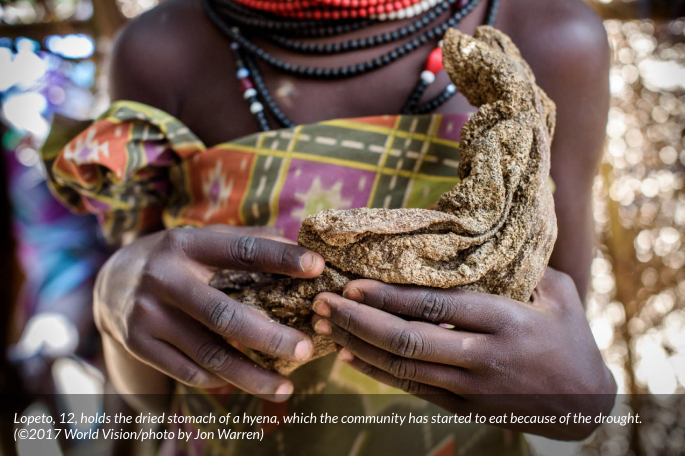 There's a dire famine striking East Africa. Here's how you can help. 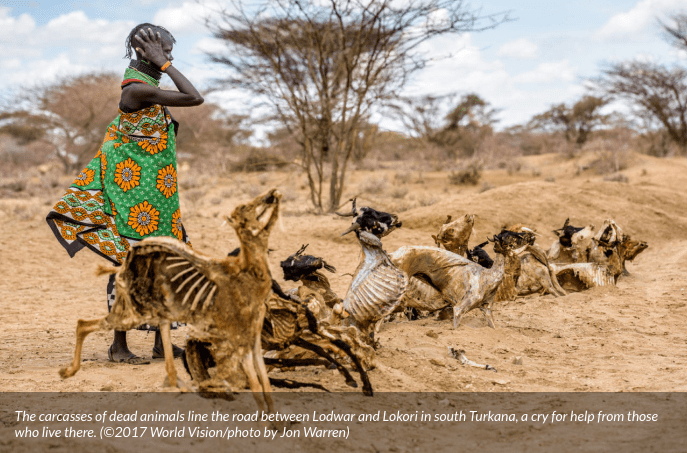 Today I’m happy to have a guest blogger, Kari Costanza, give a first-hand account on the hunger crisis currently underway Turkana, Kenya. Link to the original post, here. I’ve long been a proud child-sponsor through World Vision, and have been blessed to travel with them to sites in Armenia and the Dominican Republic to see first hand the work they are doing to help those who are impoverished and need a path forward to self-sufficiency. 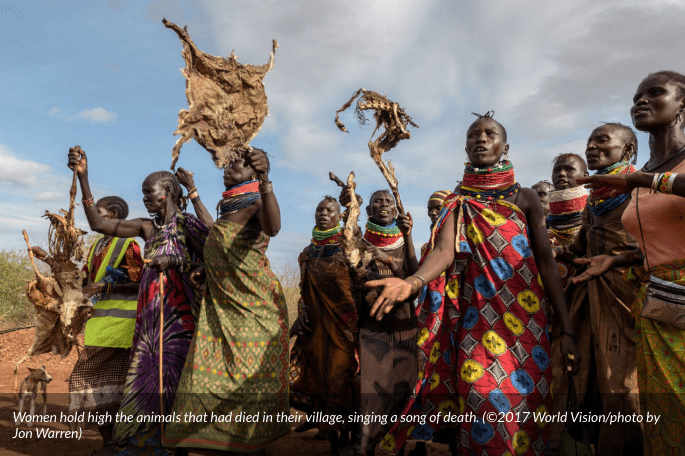 I have also witnessed plenty of extreme poverty in my travels to over 40 countries in my lifetime– but I have never seen such an immediate, life-or-death crisis as it is in East Africa right now. 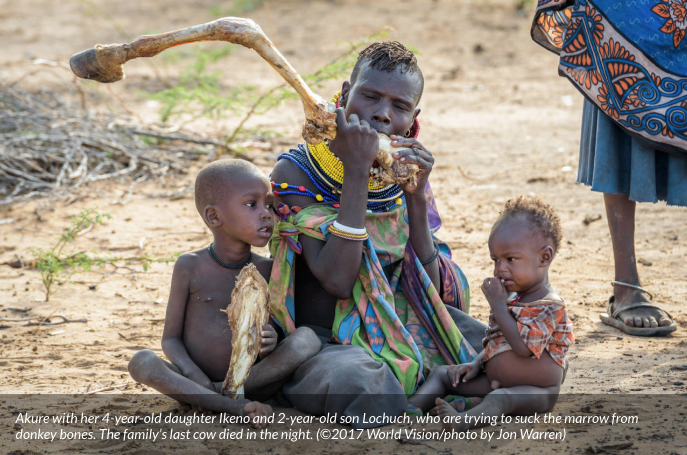 As American Christians who will never know or experience starvation the way those in East Africa are experiencing right now, and who have both privilege and ability to help, will you join me in doing something about this? For just $39 a month you can sponsor a child in one of these local communities and make a huge difference in their lives. Your monthly sponsorship helps to provide food, helps families create jobs that lead to long-term independence, and the letters you will exchange with your sponsored child will become a cherished part of their childhood. 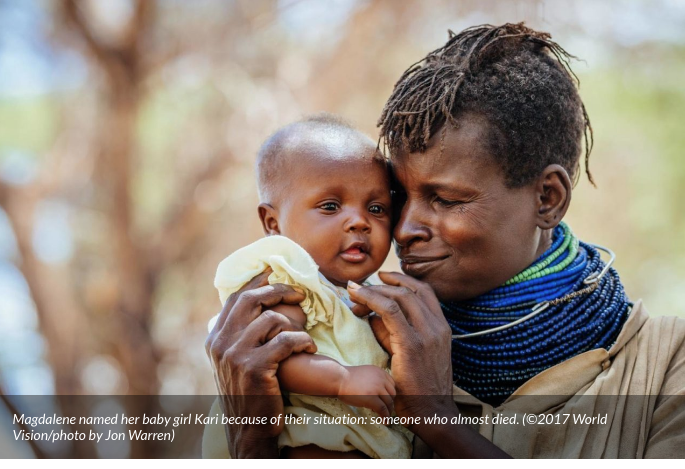 In my travels with World Vision, I’ve seen time and time again the life-changing impact of child sponsorship– I hope you’ll partner with me today and sponsor a child on one of these affected areas. Crime & Punishment In America: Maybe We're Doing It Wrong?